The big trend of 2017: unwinding with leaving your phone. 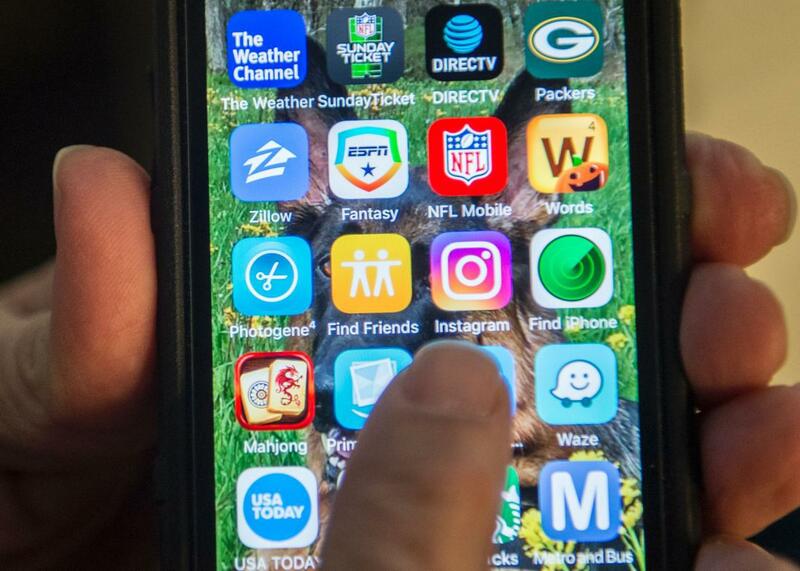 Apple’s top apps aren’t surprising. Its App of the Year shouldn’t be either. For a picture of what life was like in 2017, look no further than the apps, movies, books, and music that topped the App Store and iTunes charts. This week, Apple revealed the most popular titles that iOS users downloaded over the course of the year. In terms of media, the top choices weren’t surprising. Moana and Rogue One: A Star Wars Story topped the movies list, Drake was most listened to on Apple Music, and the most downloaded book titles were ones recently adapted into TV shows, such as The Handmaid’s Tale. Among the top apps, Snapchat, Facebook Messenger, and Instagram land in the top five, but it’s Apple’s pick for App of the Year that’s most intriguing. In Apple’s announcement, it highlights four breakout trends in 2017: augmented reality apps and games, real-time competitive gaming, mental health and mindfulness apps, and storytelling and reading apps. Three of these categories curiously align themselves with areas hyped by Apple at its September iPhone event and at WWDC, its annual developer conference. The iPhone X was designed with augmented reality in mind. The improved processing power of the new iPhones, along with Metal 2, the hardware-accelerated graphics API that lets developers take advantage of that GPU power, lends itself to both augmented reality applications and real-time gaming ones. And iBooks Storytime is an Apple-developed app designed to “transform” storytelling and reading. The one category among these that feels like a genuine trend—one not bolstered by Apple’s own apps or APIs—is mental health and mindfulness. Over the past year or two, I’ve tried my hand at a variety in this category, including Headspace (which several friends swear by) and Muse, a meditation app that uses input from a brainwave-sensing headband to guide your zen. As its Editor’s Pick in this category—and, on top of that, its App of the Year—Apple selected Calm. The app, which debuted in 2012, includes guided meditations ranging in time from three to 25 minutes, “Sleep Stories” to wind you down at the end of the day, breathing exercises, and music selections to help you relax, focus, or sleep. An evolution emerges when you look at this pick compared to past App of the Year winners. In 2015, live-streaming app Periscope earned the honor of app of the year—we were all about sharing our views with the world on social media. In 2016, it was the trendy photo filter app Prisma, perhaps symbolizing how we wanted to color the world in our own personal, creative way. Now, we just want to retreat into our own world and eliminate the noise and stress. If we go back to 2014, when brain-training app Elevate was made app of the year, it would seem we’ve come full circle to focusing on bettering ourselves. Of course, Apple isn’t just capitalizing on the Zeitgeist with its iOS pick. Calm also exemplifies some of the best aspects of its mobile platform: Beautiful full-screen images of serene landscapes that show off the iPhone’s color gamut, pixel density, and, in the case of the iPhone X, edge-to-edge display; audio that can take advantage of updates to the iPhone’s speaker system; a companion Apple Watch app. Even though mindfulness and meditation apps are a growing trend, you’ll notice Apple didn’t actually pick one of the most downloaded apps of the year, which included Bitmoji, Snapchat, and YouTube. These may have been the most downloaded, but they don’t capture the essence of an iPhone user in 2017: Someone desperately trying to unwind, but unable to separate themselves from their phone. Calm fits that bill perfectly.